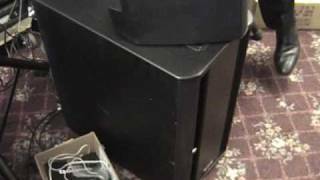 Considering purchasing the QSC KSub Active Subwoofer? Have questions? Ask people who've recently bought one. Do you own the QSC KSub Active Subwoofer? Why not write a review based on your experience with it. The recent price drop has made these high-quality subs a great buy. Well I heard this unit at BPM this year in the QSC showroom. The bass is crazy! this unit matched with a pair of 10.2 or 12.2 will make the best sound ever! QSC have made this to their top standards with wheels on the bottom and nice handles on the side to move it around. Only thing that I was not pleased with hence why not 5 stars, the unit does not come with IEC power lead as standard. It has EU standard cable which is weird for a product sold in the UK market. But besides that the unit has it typical 6 years warranty with QSC.. These subs sound incredible! Well built and compact but still deliver a punch. Fabulous - these are just what I've always needed and the boys at DJKit were excellent. 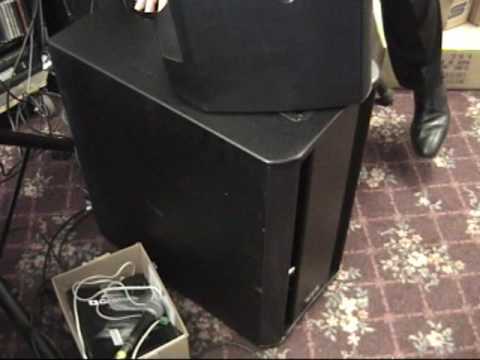 Seen a video for QSC KSub Active Subwoofer online or have you own video? Check out QSC KSub Active Subwoofer on DJkit.com!